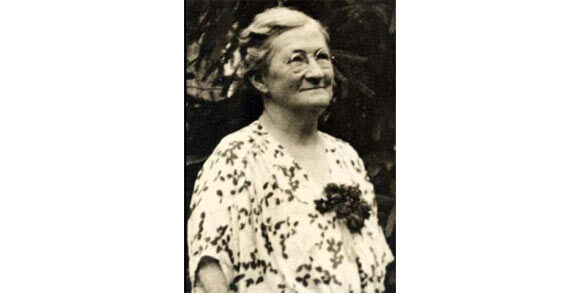 Mary Anderson was an American inventor of the 20th century, known primarily for her invention of the windscreen wiper. Anderson was born in 1866 in Greene County, Alabama at the start of the post Civil War Reconstruction Movement in the U.S. Her professional pursuits were varied, ranging from real estate development to cattle farming and managing a vineyard. After her father died, Anderson moved with her mother and sisters to Birmingham, Alabama. At the time she was 24 years of age. As soon as she had settled into the new town, she ventured into real estate by building the Fairmont Apartments on Highland Avenue. She managed these until her death, first by herself and later with the help of her brother in law, G.P. Thornton. In 1893, she decided to move to California where she established a cattle ranch and a vineyard. She managed and operated these until 1898 but soon returned to Birmingham to care for an elderly aunt. Her aunt reportedly brought 17 trunks with her, the contents of which were a jealously guarded secret. After her aunt’s death, the trunk was found to contain cases of gold and precious jewelry, which put an end to the Anderson’s financial worries for good. Her invention of the windshield wiper stemmed from a visit to New York with some friends in the winter of 1902. While waiting for a trolley car, she noticed that it was very inconvenient for motorists to drive in the snow as visibility was severely impaired in the harsh weather. Drivers had to stick their heads out the windows to see properly and make frequent stops in order to clean the sleet and snow off the windshield. People were basically using their intuition to get around in formidable weather, and could do nothing but be careful. Some engineers at the time had suggested the use of a “split windshield”. This was a windshield which could be partly opened but it exposed the driver to direct contact with the wind and snow and did not help to improve visibility very much. This gave Mary Anderson the idea of designing a device that could be used to clean the windshield of rain, sleet and snow without having to get out of the vehicle. When she got back home to Birmingham, she began to create a design for such a device and also hired a designer for this purpose. Her efforts led to the creation of a manually operated device which could be triggered by a lever located inside the car. The device would be lined with rubber that would wipe the windshield clear of snow and sleet. Anderson commissioned a local company to produce a prototype for her. Her initial efforts were ridiculed but she successfully managed to obtain a 17 year patent for the windshield wiper in 1903. In 1905, she applied to a Canadian firm to see if they were interested in using her device. However, she was met with rejection as the company felt that it had little commercial value. Cars were not as common in those days and Mary Anderson let her patent expire in 1920 without renewing it. As the industry began to rapidly expand, windshield wipers were made a standard part of automobiles soon afterwards, despite the fact that little credit was given to her initially. Mary Anderson died in Tennessee in 1953, at the age of 87 and is buried at Elmwood Cemetary. The Times carried her obituary, crediting her for her invention.